Let’s start them off early! We consider their fantastic imaginations when we put together our 4-hole golf course around Oakland Yard. These little golfers will all get their own set of junior clubs on day one to use throughout the week. Each day they’ll start out on our driving range learning the basics of grip and stance. 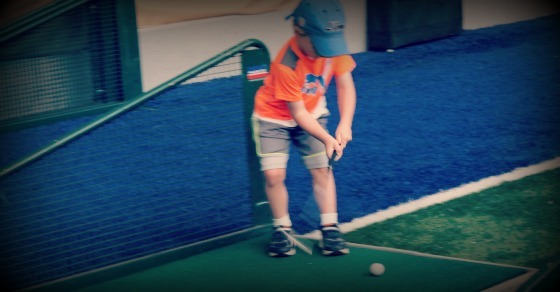 Campers will get a chance to learn how to use the different types of clubs, as well as golf safety and etiquette. And of course, we make sure everyone has a blast doing it!